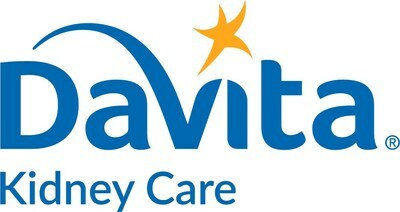 DENVER, Nov. 3, 2017 /PRNewswire/ -- DaVita Kidney Care, a division of DaVita Inc., (NYSE: DVA), a leading independent provider of integrated health and kidney care services in the United States, today announced its strong support for the Dialysis PATIENTS Demonstration Act (PATIENTS Act) (H.R. 4143 / S. 2065). "This legislation transforms the quality of care delivered to Americans on dialysis by making integrated care accessible to many more patients," said Javier Rodriguez, president and CEO of DaVita Kidney Care. More than 650,000 people in the U.S. suffer from end-stage renal disease, also known as kidney failure. Many of these patients juggle multiple appointments, manage numerous medications and experience frequent hospital visits. Additionally, these patients may have little help navigating the complex health care system. Integrated care programs, such as PATIENTS Act, offer patients added benefits like access to a care coordination team and medically necessary transportation. Over the past decade, multiple models have proven the effectiveness of integrated care for dialysis patients. The PATIENTS Act builds on these historical models to allow broader scaling of integrated care. This legislation combines precedents established from Accountable Care Organizations and Medicare Advantage to enhance the integrated care model for dialysis patients. "This model is good for patients, good for taxpayers and good for our health care system," added Rodriguez. "It will succeed because it empowers patients, emphasizes physician leadership and facilitates innovation. DaVita joins dialysis patients, patient advocates and other providers in supporting this bipartisan, patient-centered legislation." H.R. 4143 is sponsored by Representatives Jason Smith (R-MO), Earl Blumenauer (D-OR), Cathy McMorris Rodgers (R-WA) and Tony Cárdenas (D-CA). S. 2065 is sponsored by Senators Todd Young (R-IN), Dean Heller (R-NV), Bill Nelson (D-FL) and Michael Bennet (D-CO). Follow and support the legislation on social media at #DialysisPATIENTSAct.